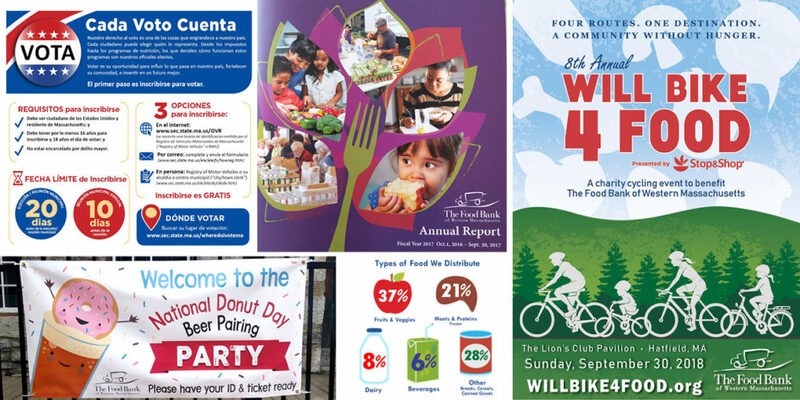 My apologies for not staying in touch – It’s been an amazing but busy year. I took some time off to recharge my art scene, so while that meant less art events, I’m warming back up for this fall! 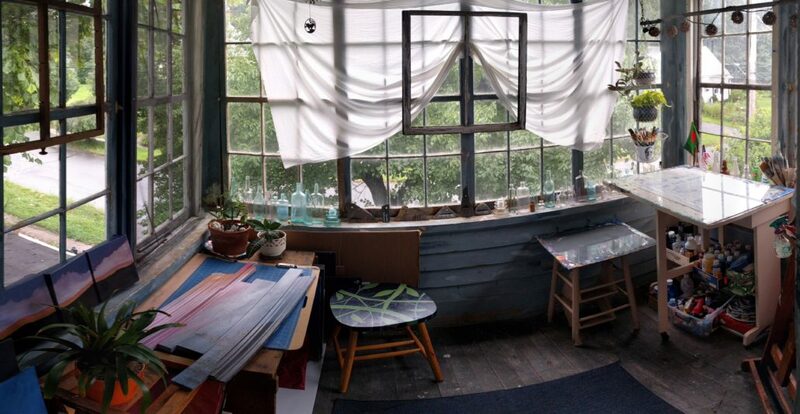 I moved my studio back home, and set up on the sun porch! A new space complete with good lighting and a cross breeze. As you can imagine, I love being surrounded by branches, and it’s great to work at home again! 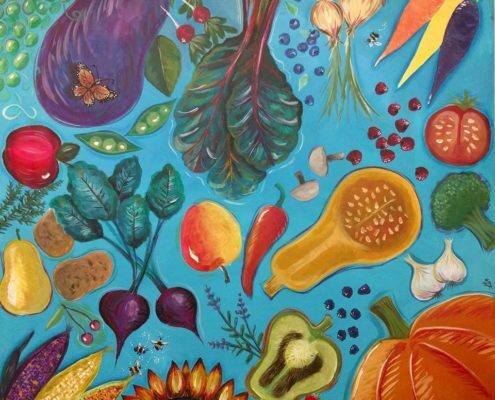 Recently, The Food Bank hosted a staff art show, and we unveiled our locally grown food mural for The Food Bank’s common room! 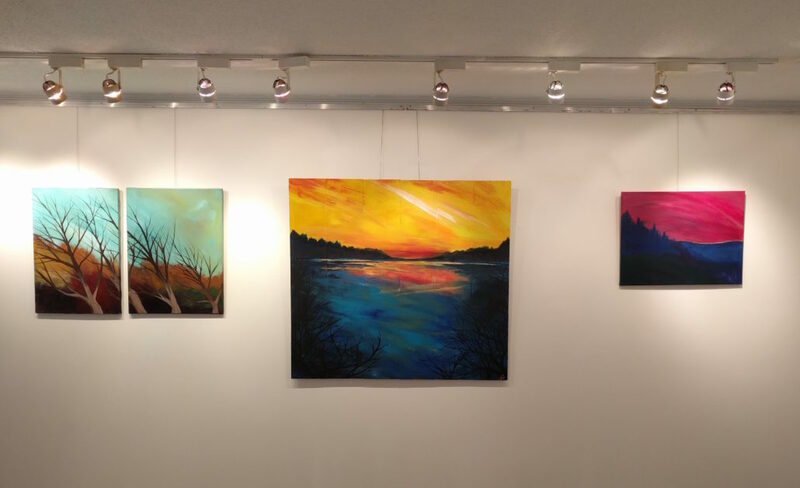 It was great to collaborate with my artsy co-workers and see all their amazing work. 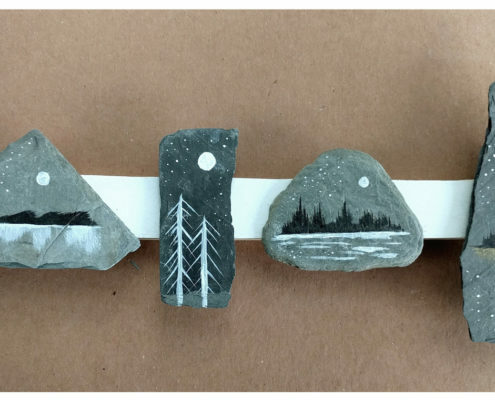 I’ve been creating a series of woods and lake scenes using a limited palette on slate pieces. I’ll have several available for sale this winter. 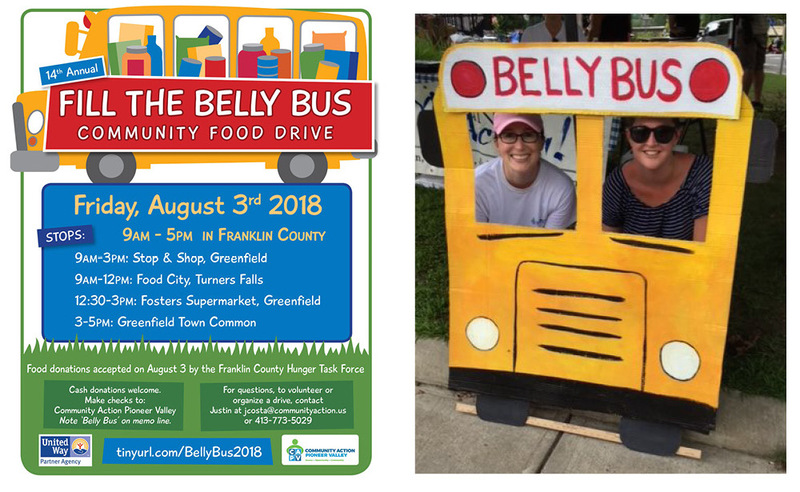 Stay tuned for the time and place! 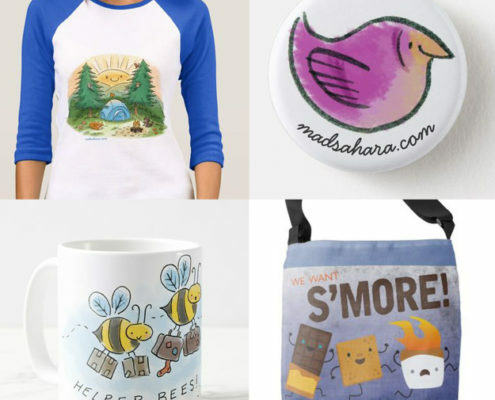 My shop on Zazzle.com/madsahara has been updated! Choose from several designs available on mugs, t-shirts, pillows, phone cases, and much more. Contact me if you’re looking for something special!